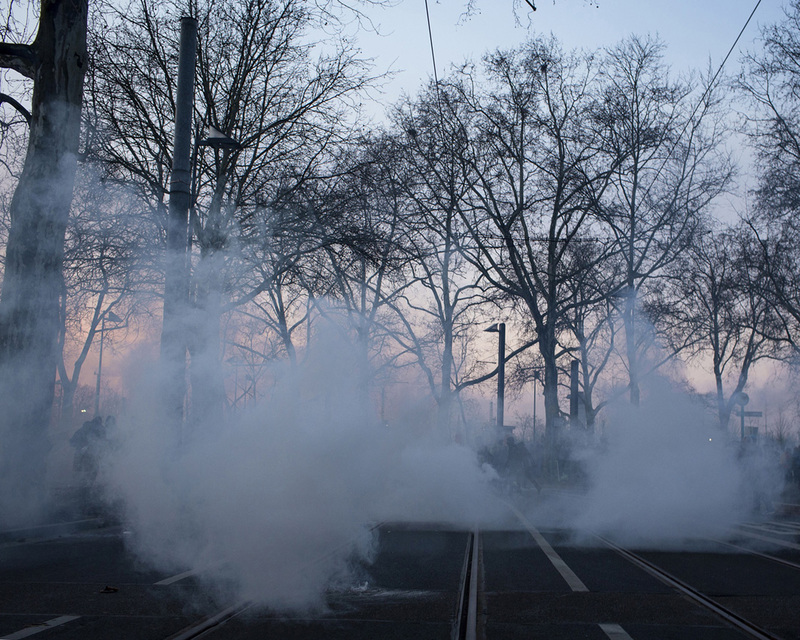 CS-gas shot by the police to disperse violent protesters blows in the air on a street leading to the European Central Bank's headquarters. 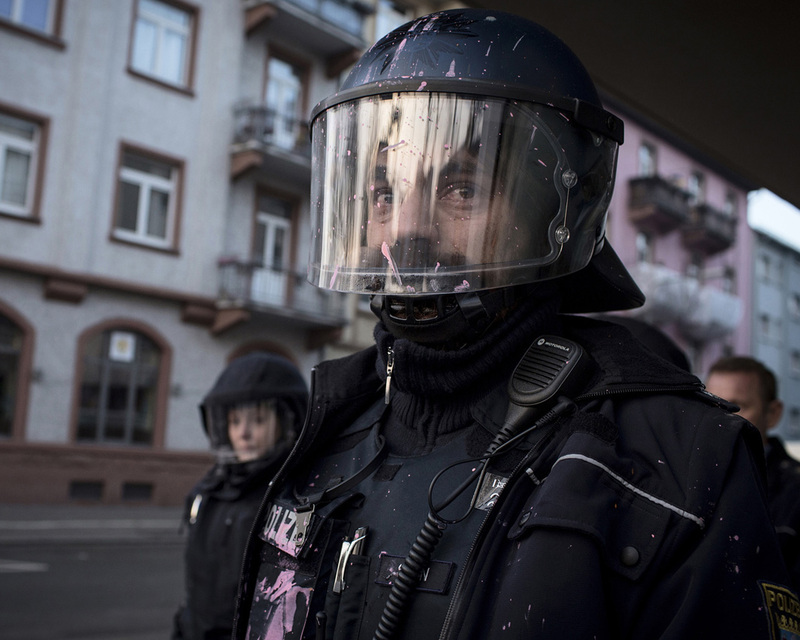 Protests against the inauguration of the new European Central Bank (ECB) building escalated quickly in the early morning through far left "black block". A scared police officer who was earlier thrown color on when the van he was inside was attacked by violent protesters looks on the happenings. 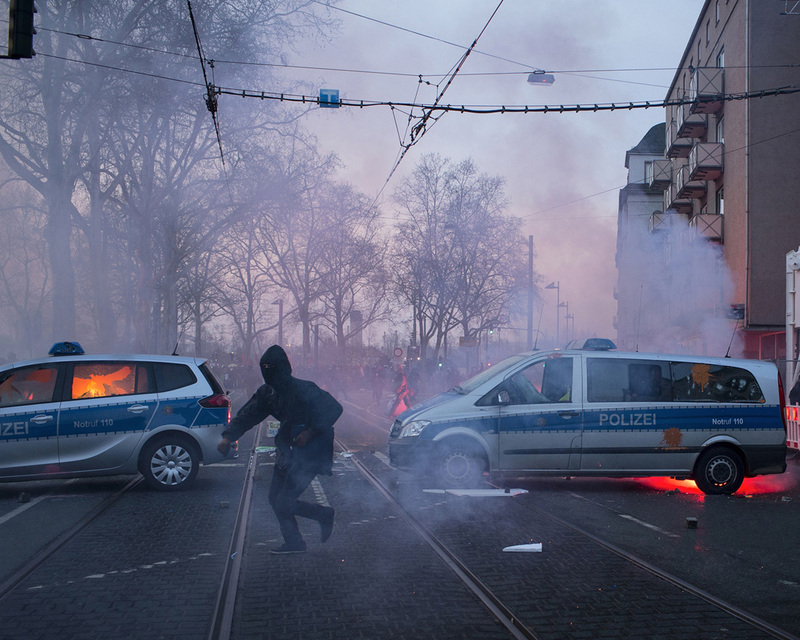 Violent protesters attack police cars and burn the left one on the picture about 500m from the new headquarters of the European Central Bank. A police car burns down after it was attacked by violent protesters. Police and demonstrators push against each other. 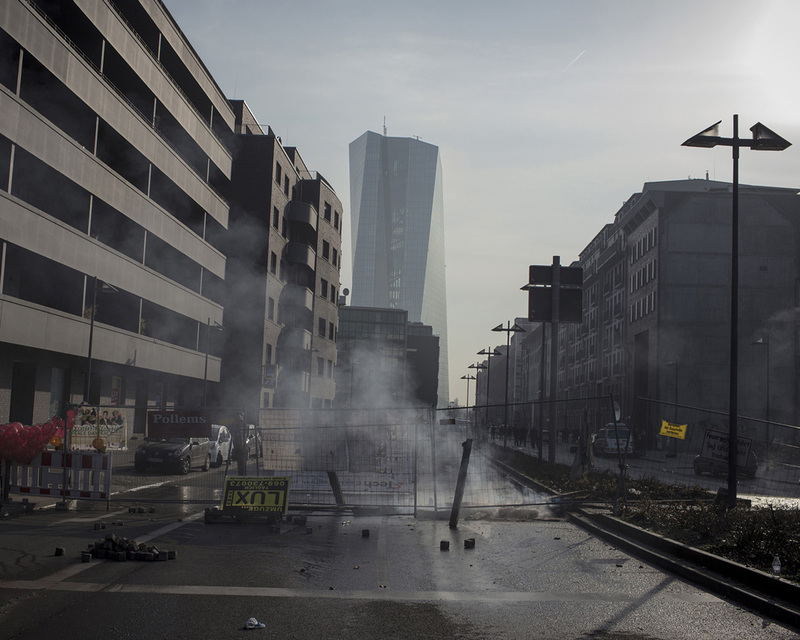 The new headquarters of the European Central Bank is seen in the background of a road barricaded by violent demonstrators. 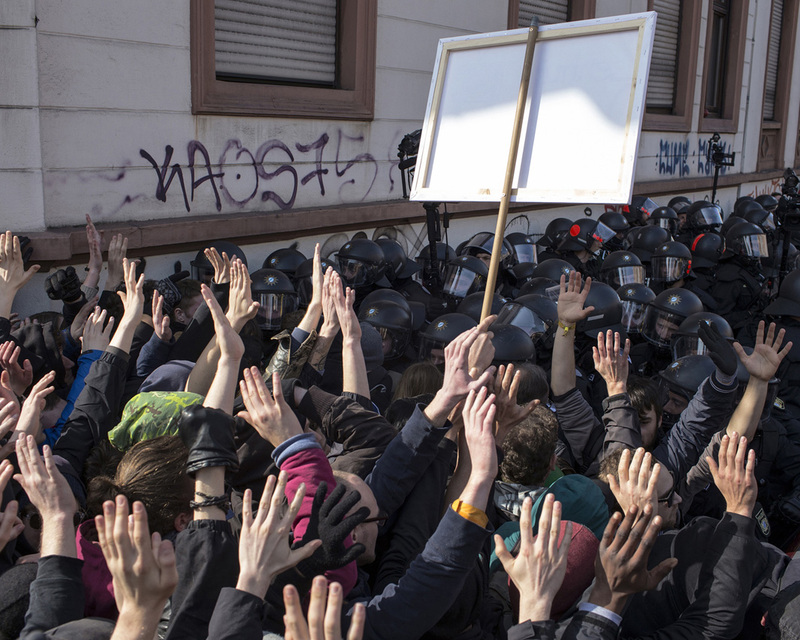 Protests against the inauguration of the new European Central Bank (ECB) building escalated quickly in the early morning through far left "black block". On March 18th, 2015 the European Central Bank opened its new premises in Frankfurt, Germany. 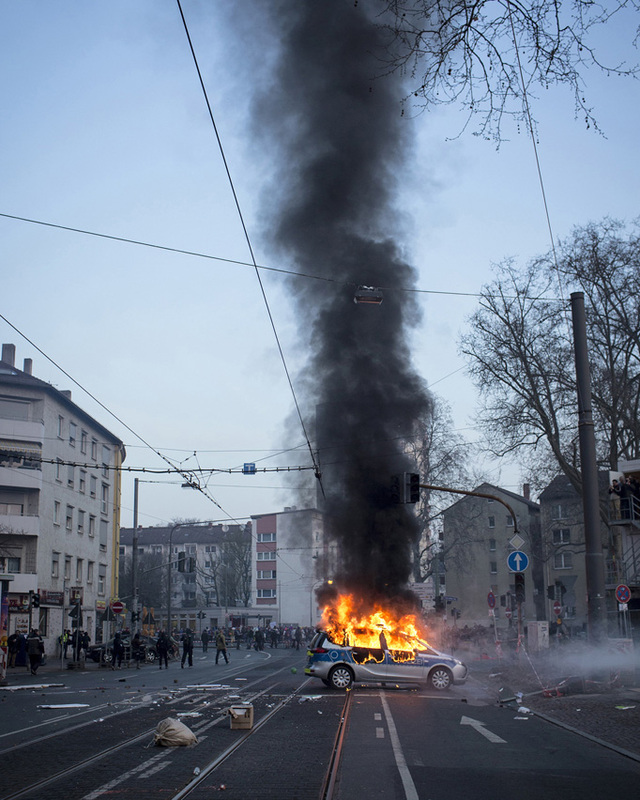 The “Blockupy” movement had mobilized large scale protests long time ahead of the opening. Very early in the morning clashes led by left-wing activists broke out and led to surreal scenery at dawn.